You all will be happy to know I have started the boat. 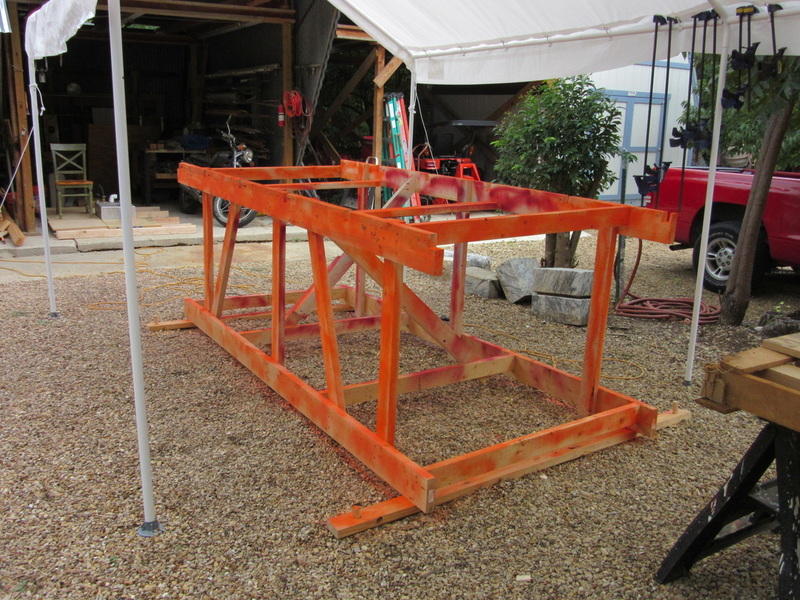 Begining with construction of the frame guide. I first need to have a square base that is immobile. 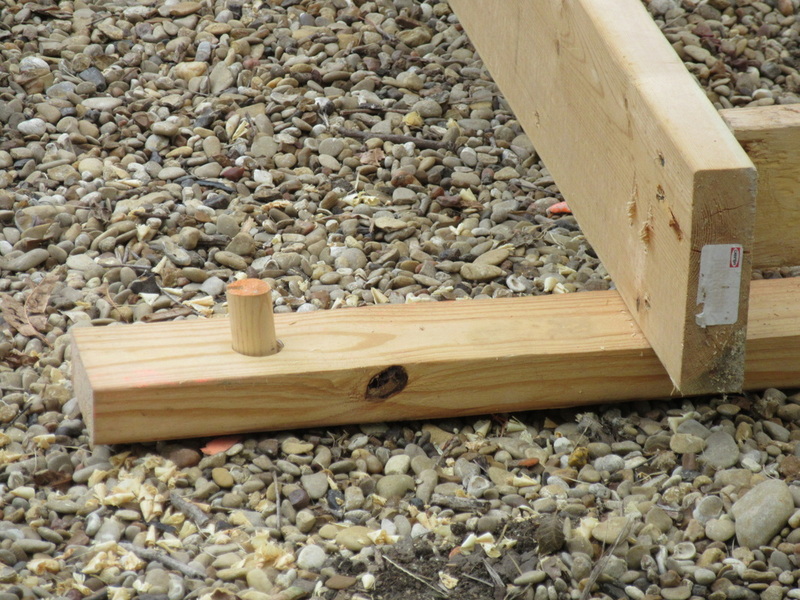 I made wooden stakes to hold the base in place. Base is 10' x 4'. Will make risers and frame guide supports next. 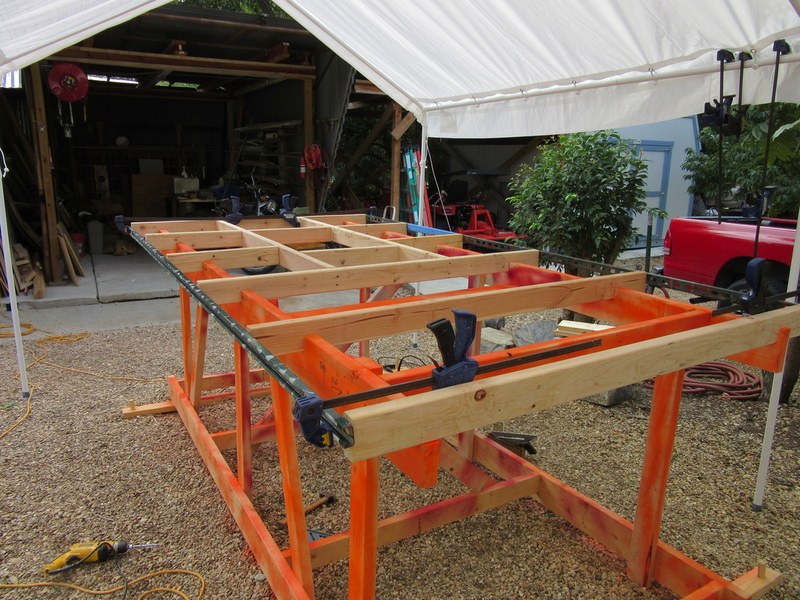 The frame guide support will be leveled. Apartently had a lot more fun on vacation than originally thought. Did not retweek drawings for 1x4s, Oh well, will just go by original drawings and use 2x4s. Below is the drafting for the frame support guide. 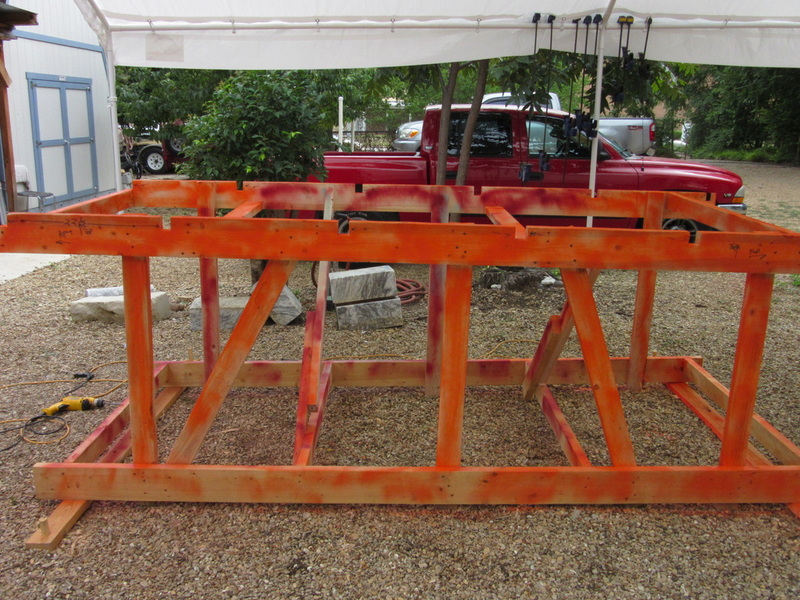 Since the hull is 3"6" deep, make sure to have the frame supports at least 4' off the ground. Here is the completed Frame guide. I started laying out the frames but all the new wood started looking the same, so removed the frame wood and painted the guide using left over spray apint cans. Placed cross braces to make the guide more sturdy. I notched out the main support guide for the frames. Below is the bottom frames on the frame support guide. See the color difference makes it so much easier to tell boat from guide. I was only using the metal shelf brackets to align the frames. I plan on routing a ledge so I can place a plywood bottom for the gas tank space.